Many claims have been made for Aloe Vera dating back to BCE when the Egyptians referred to it as the ” Plant of Immortality.” Alexander the Great carried Aloe plants for battle wounds. In the 17th Century the Spanish carried Aloe along with their bibles as they pushed into the new world. Now it is said, but I can not find any conclusive proof, that Aloe is one of the very few plants that will grow in areas where nuclear testing has taken place. I recommend trying it on sun burn but with any new application of something you have not tried before, proceed with caution and do your research. These days information is before us so we should use it while we can. yes – i love the aloe plant. i am worried now about the cyclone. I hope and pray that it is not wrecking havoc on you. The garden looks great! 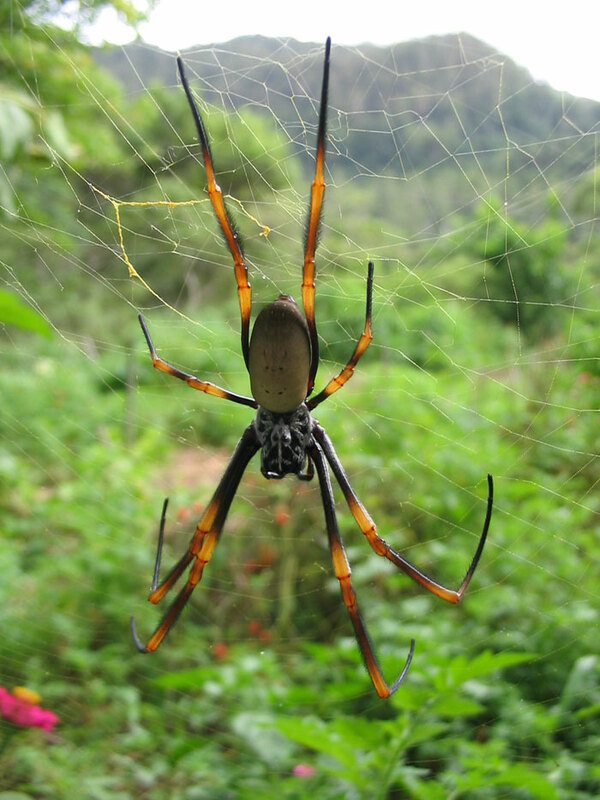 I’m just letting you know that the ‘spider in the garden’ photo is a female Golden Orb Weaver (Nephila plumipes). You can usually find at least one male hanging around the web, he’s a lot smaller than her, about 5 times smaller, and there can sometimes be 5 of them (the female will usually eat any males that get old or sickly).